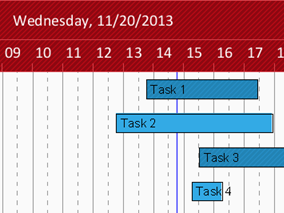 Gantt charts are best companions of planning and scheduling applications. 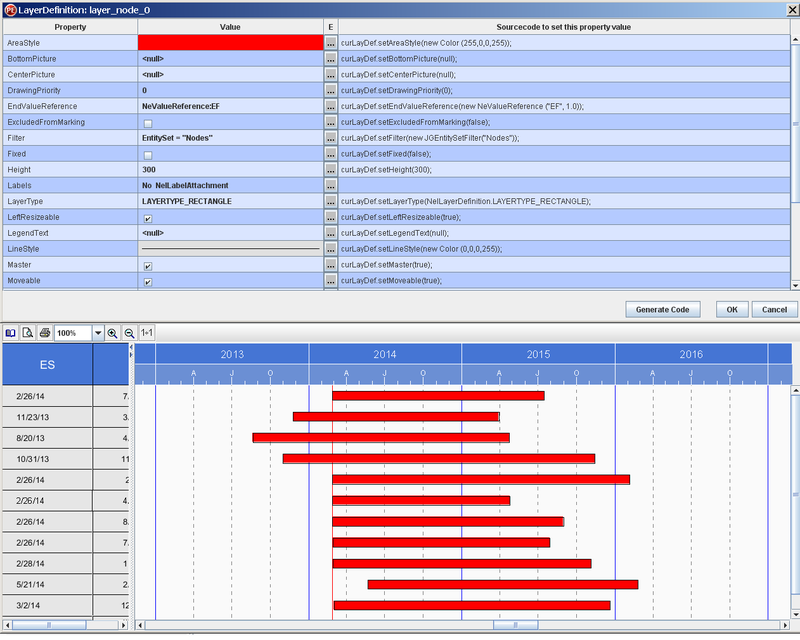 When it comes to visualization developers often look for Gantt controls to ease their development effort. At this point the question arises: What makes a Gantt chart sophisticated and meaningful and what functionality must a Gantt control offer to create a well done Gantt chart? With this post we continue our former post about important features of a Java Gantt component in a B2B application. These features find our clients very helpful when working with our Java Gantt component VARCHART JGantt and maybe it will help you when you are in the evaluation process. The functionality of a Gantt chart can often be defined precisely, while on the other hand its visual realization is only vaguely determined: Which color and form do the bars have, which calendar grids suit best and so on. 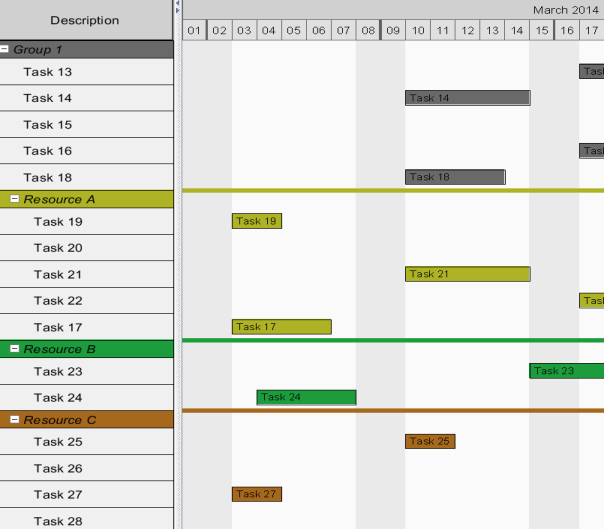 So a lot of time is spent by testing how the Gantt chart can be realized in a visually meaningful way. VARCHART JGantt comes with a Property Editor, letting the developer test the Gantt settings by a “quasi-preview”. Only if he is satisfied with the results, he will translate the settings into an application. The following example illustrates testing the effects of bar colors on the chart. The preview and the clear arrangement of the functions by the Property Editor make the Gantt control an intuitive-to-use tool and reduce the development time. Lines should not be underestimated as structural aid in the Gantt chart. Different time intervals can be better discerned if they are indicated by different vertical lines. Horizontal lines of different colors make groups stand out from one another. So it’s essential for a Java Gantt control to allow lots of flexible line settings. Expanding and reducing the timescale let planners modify their planning point of view. If they, for instance, not only want to know what the machine load will be in an hour, throughout the day or tomorrow but also in two weeks. A timescale that can combine short-term and long-term planning has to have a particularly flexible resolution since it has to switch seamlessly from e.g. a monthly resolution to a daily or even an hourly one when zooming in an activity. The timescale of VARCHART JGantt can modify its resolution from centuries to milliseconds continuously.